Actor Karthi is a happy man these days post the rousing reception to his last film, Kadaikutty Singam. The star tasted immense success with his Theeran Adhigaaram Ondru last year and it looks like there’s no stopping him with his upcoming film too. As of now, it has been confirmed that Karthi will next be joining hands with director Jeethu Joseph of Papanasam fame. 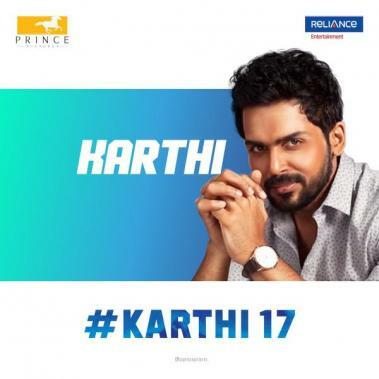 In the meantime, Karthi is busy with his upcoming film, Karthi 17, which is speculated to have the title, Dev, alongside Rakul Preet Singh with Harris Jayaraj for the music under newcomer Rajath’s direction. >>Karthi 17: DEV First Look Is Here! >>Karthi's Next First Look To Be Out On..! >>Huge Flood: Karthi And Team Left Stranded In Kulu Manali!